Indian Motorcycles has unveiled a blacked-out version of the Chieftain, called the Chieftain Dark Horse. This is the second model after the Indian Chief to get the dark treatment in the Indian Motorcycle line-up. It gets blacked-out fenders, fairing, fuel tank bags, forks, mirrors, handlebars, turn signals, tank console, engine, airbox cover, lower controls, floorboards and tail light housing. 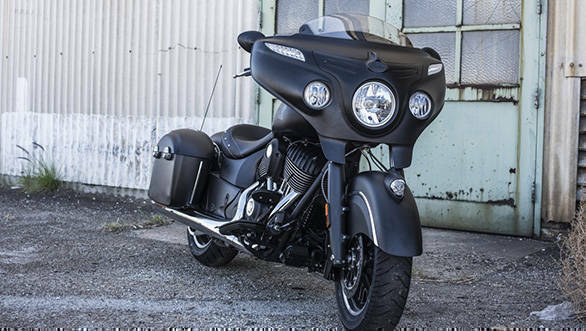 The Chieftain Dark Horse will be offered with a solo seat and a short tinted power adjustable windscreen. The features list that will be offered as standard include tyre-pressure monitoring system, electronic cruise control, dual-riding lights, remote locking and ABS. Indian Motorcycle will also offer special slip-on exhausts and 100-watts of saddlebag lid speakers along with performance cams as a part of its customizable accessory options. Other than the cosmetic changes, the Chieftain Dark Horse is based on the same platform that underpins the Chieftain and is also powered by the same Thunderstroke 111 engine that is seen on the Chief Vintage and the Roadmaster as well. 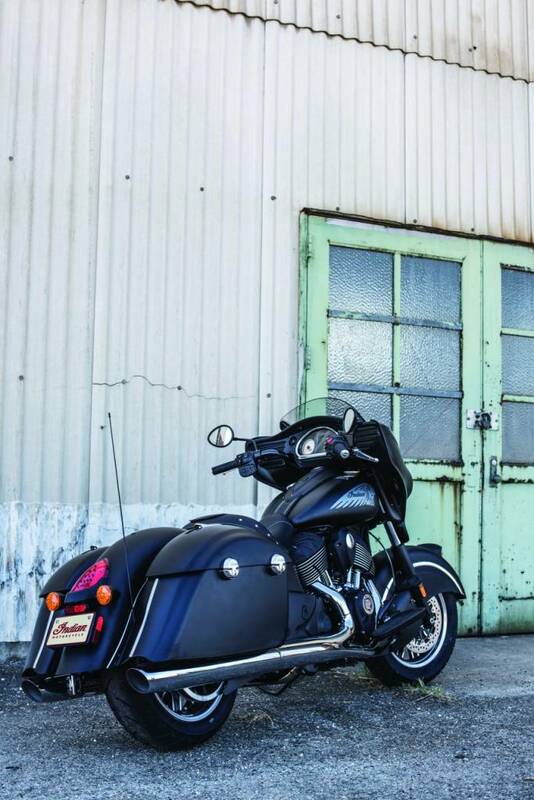 We have already ridden the Indian Chief Vintage and were impressed with the performance of this iconic bagger. In our review, Shumi also claimed that the Chieftain is the smoothest cruiser that he has ever ridden. Read our Indian Chieftain review to know more. 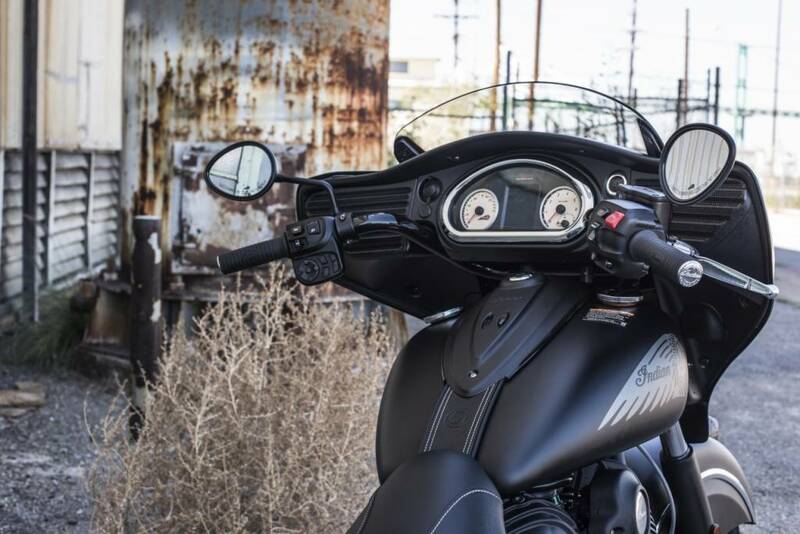 "The Indian Chieftain Dark Horse's blacked-out styling and powerful Thunder Stroke 111 engine will elevate our riders to the top of the pack," said Reid Wilson, Marketing Director, Indian Motorcycle. "Starting with the award-winning Chieftain platform, the Dark Horse series signature matte black paint and raw attitude is an open canvas for customisation that makes it the perfect bike for riders who are ready to 'Be Legendary'." Last month, Indian Motorcycle launched the 2016 Indian Springfield in India at Rs 30.6 lakh (ex-Delhi). We believe that Indian Motorcycle might bring the Chieftain Dark Horse to India by the end of this year.